The name Harvey Wallbanger does this cocktail an injustice. With such a clumsy, imprecise name, it's difficult to take it at all seriously. In fact, this is an excellent tasting drink that's been forgotten since its heyday in the 1960s and 70s. 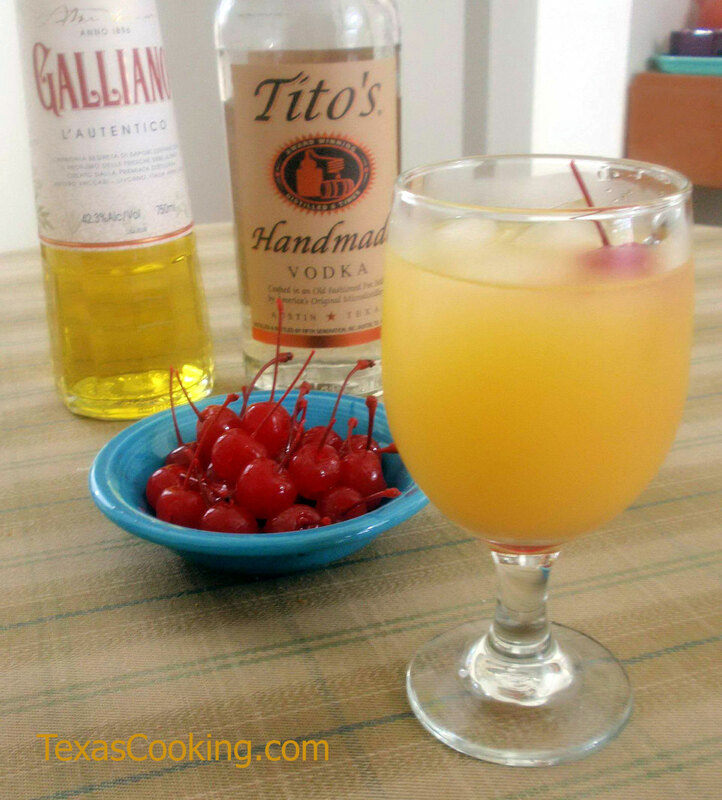 Galliano is a delicious liquor and gives a whole new dimension to the boring, old Screwdriver. Pour all of the ingredients over ice into a highball glass and stir. Note: This being Texas, we're partial to Tito's Handmade Vodka or Deep Eddy Vodka.